For those who live to test their limits, What-a-Coaster offers one of the tallest vertical drops in the country. Riders endure a heart-pumping seven-story drop that reaches speeds up to 40 miles per hour. 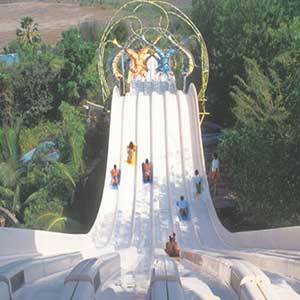 The unique slide is centered on sleds in which the riders go down with a jolt and screams like a sky screamer. Please carry the printout of this E-Ticket along with Photo ID proof (Drivers Licence / PAN Card / Passport etc) and exchange it for a valid ticket(s) at the parks. In case of Credit / Debit Card payments, it is also MANDATORY to carry the same card from which booking was made in original along with a photo-copy.Tickets once booked cannot be exchanged, cancelled or refunded. No refunds on purchased ticket is possible, even in case of any rescheduling. 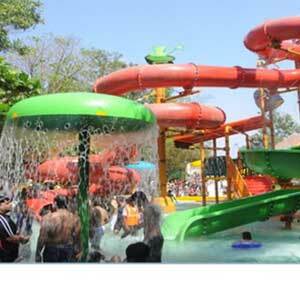 Prices are inclusive of entry ticket to EsselWorld OR Water Kingdom (single entry visit). 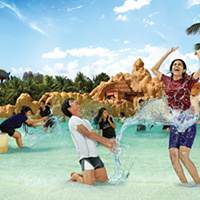 Prices are inclusive of transfer from single pick-up point to our parks and back along with driver allowance, toll &; car park charges wherever applicable basis package / ticket type bought. All booking terms & conditions of PIPPL & First Cars will apply. Car service from morning to midnight. Additional charges applicable post midnight incase opted for. There will be single pick-up point as confirmed at the time of booking. Multiple pick-ups not allowed. All bags, backpacks &; personal items will be inspected prior to entering the parks. Picnic lunches, Large duffle bags, Suitcases, Coolers, Bags with wheels, Weapons, outside Food &; Beverages, Alcohol, illegal drugs strictly not allowed within premises. We recommend you leave unnecessary articles in your car and secure valuables in your trunk. Patrons using various rides / slides and other facilities at our parks will do so with due notice of the various warnings displayed at appropriate places and shall so use such facilities and rides at their own risks. Car service from morning to midnight. Additional charges applicable post-midnight. Booking of tickets under this offer will be accepted 48 hours prior to the date of visit. All booking terms & conditions of EsselWorld Leisure Pvt Ltd & First Cars will apply. The pick-up and drop will be from the below mentioned city limits and restricted to any area of that particular locations. The city limits mentioned above are as per the railway route. For example, if a car is booked under zone II (i.e. CST to Vashi) the service will be from any location within these cities limit which is as per the Harbour railway route. The areas within the above mentioned cities are limited as per the postal guide lines. For example, if the car booking is done under zone II i.e. pick-up & drop is from Vashi city, which means the car service will be available to any area within Vashi city as per the postal limits. If the car service is requested from location other than the above mentioned city limits, extra cost per Km will be charged. These charges will be communicated at the time of the booking. Show Order ID - Email Confirmation Printout to the ticket counter at the entrance to avail physical tickets/ wristbands/passes. 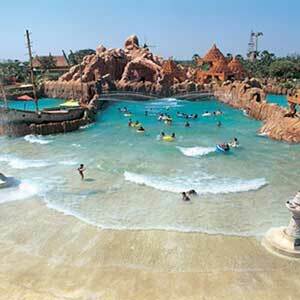 WK CombinedCombined Ticket: One day Visit to EsselWorld and Water Kingdom.